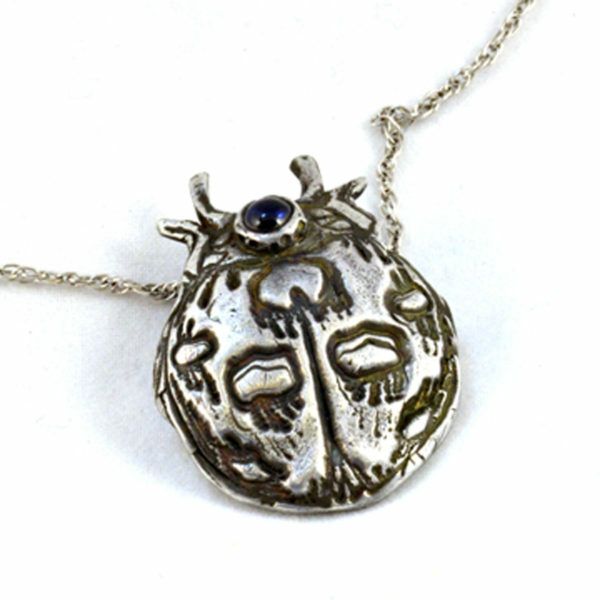 Dark blue CZ sparkles in this silver lady bug pendant. Art Deco influences nature’s lady bug design and makes this a unique pendant. 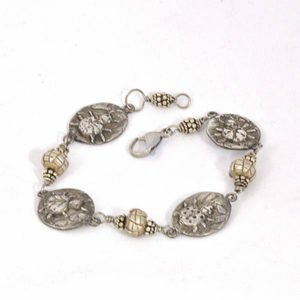 The silver pendant hangs on a silver chain and adds to the beauty of the design. Art Deco Silver Pendant -Only One Available! 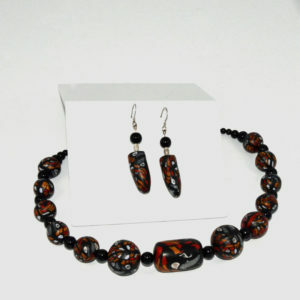 Handmade and the only one of it’s kind! All metal tarnishes with time. Use a soft polishing cloth or pad to remove the tarnish being careful not to remove the intended patina. 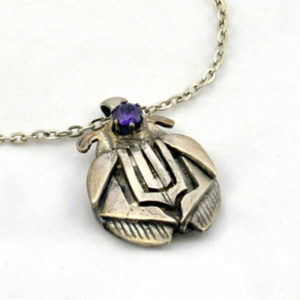 Art Deco influences this silver pendant in the form of a stylized lady bug. The dark blue cz , made in a laboratory, adds style and shine to to silver. 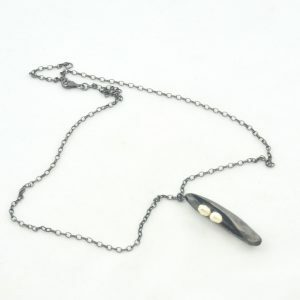 The one of a kind lady bug hangs on a silver chain reminding us of the beauty of nature.